Removing a dying or dead tree can be a very challenging task, especially because safety is a significant concern in the whole scenario. It is best to leave it up to the pros who have been doing this for a while. The process is tree removal can be tricky, but the five steps mentioned below could make it easy for you. So here are few things you need to keep in mind. After examining the tree to check whether it is diseased, dying, or dead, there are specific steps that need to be kept in mind. These steps may seem easy for homeowners, but it is always better to hire professionals to do the job. 1. Clearing the Area – When you plan on removing a large tree, you will require a significant amount of space to let the tree lay flat after it is removed. Therefore, you will have to estimate the height and accordingly clear the immediate area in the vicinity. In order to do so, you will have to sift through the tree. You need to see in which direction is the tree leaning naturally. It will be of great help in determining the best direction for the fall. If there are signs of decay, there are high chances that the tree may collapse and not fall where it was previously intended. 2. Picking Up an Escape Route – Sometimes the tree may fall out of control, and in such situations, you will require a clear path to scape and run in the other direction. Keep a tab on the areas near the tree that does not have any obstacles. All in all, you have to be prepared for everything. 3. Gathering the Right Equipment – when The size of the tree will determine the kind of equipment you will need for cutting the tree down. You can either go with a handsaw, but in case of larger trees, you will need a chainsaw. If you do not have the right equipment with you just go for tree removal services within your location. For example if you are based in NSW, Sydney you can search for phrases like tree pruning Sydney, NSW to find services near to your location. 4. Starting the Undercut and Backcut – After scoping the area out, you will have a pretty good idea of the fall’s direction. You will have to cut a 45-degree angle V-shape near the bottom then to induce the fall. After it is done, a cut must be made from the opposite side as well. 5. 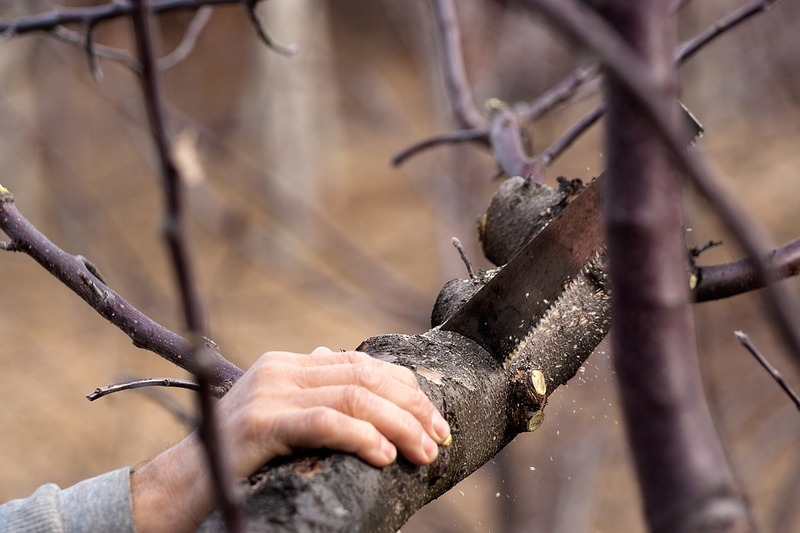 Moving away – Right after cutting the tree, you will have to walk away and alert others around you about the falling tree. After the tree has fallen on the ground, you will be able to remove the branches very easily. You can also cut the log into several pieces for transporting it away from the site.